Disability service providers will need to reassess their HR and recruitment strategies as the National Disability Insurance Scheme rolls out across Western Australia, writes PeopleStart director Dayna Edwards. By December 2018, the NDIS will be fully rolled out across WA, bringing the state in line with the rest of the country. While this is great news for those living with disability and their carers, it will throw up some challenging HR issues for service providers in the sector. Put pressure on candidate numbers making recruitment more difficult. Create increased movement of workers within the sector as existing employees are lured by potentially exciting new opportunities with other organisations. To counter this, NDIS service providers will need to reassess their HR and recruitment strategies. What has worked in the past may no longer be enough to secure the talent you need to thrive in this landscape of heightened competitivity. The added hurdle for many providers that are not-for-profit, is limited budgets which means competing on salary will not be a sustainable option. What these organisations will need to focus on is developing clear and compelling employee value propositions (EVPs). Much like marketing’s customer value proposition, an EVP outlines the appeal of your organisation to prospective workers and why they should work for you. It’s the combination of rewards, benefits and opportunities you offer to workers in exchange for their loyalty, productivity and energy. An EVP can be made up of elements like salary, benefits, organisational culture, company mission, career opportunities and employee programs. These can be things like development training, flexible working arrangement and wellness programs. The benefits of EVPs are well researched, as organisations with strong EVPs are better able to attract and retain critical-skill employees, five times more likely to report employees as highly engaged, able to reduce recruitment costs by up to 50 per cent and more than double their chance to financially outperform their competitors. The NDIS also brings new compliance obligations for service providers. The rollout of the Quality and Safeguarding Framework has made it more complex to renew your disability service provider status to meet the new standards. The framework will require service providers to ensure their policies and procedures meet the new obligations, and this applies especially to HR and the management of workers. Compliance obligations affecting workers include adherence to the NDIS code of conduct, worker screening, ensuring relevant and up-to-date qualifications and certification requirements and confirming membership to professional bodies for specific professions, along with providing the relevant supporting documentation for NDIS registration. You’ll need to invest in robust HR and management systems to assist you and ensure you remain a compliant and registered NDIS provider. It will pay off in the long run to invest time and resources in this area. Whether this is getting outside expertise and/or investing in new tools to help you. Automation tools could be one solution that can streamline your HR compliance and people management activities. For instance, setting up automatic reminders when worker certifications and memberships need to be renewed can help manage this critical but often hard to manage area. The full rollout of the NDIS in WA is a positive step forward, and will give more choice and empowerment to some of our community’s most vulnerable people. But ensuring its smooth delivery won’t just come down to the effectiveness of the National Disability Insurance Agency. It will also require NDIS service providers to rethink their operational efficiency. Human resources will be a critical area to manage in order to support service delivery but also to ensure compliance under the Quality and Safeguarding Framework. About the author: Dayna Edwards is the director of PeopleStart, a modern human resources and recruitment consultancy. 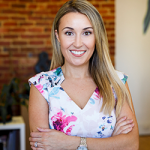 Dayna Edwards is the director of PeopleStart, a modern human resources and recruitment consultancy.